With the beginning of the new school year comes the beginning of sitting in gross, uncomfortable lecture halls for what seems like forever. We at the Clog understand the pain of scooting your booty across the rows to get to your preferred spot, or even being that person who takes the aisle seat and forces everyone to jump over them. 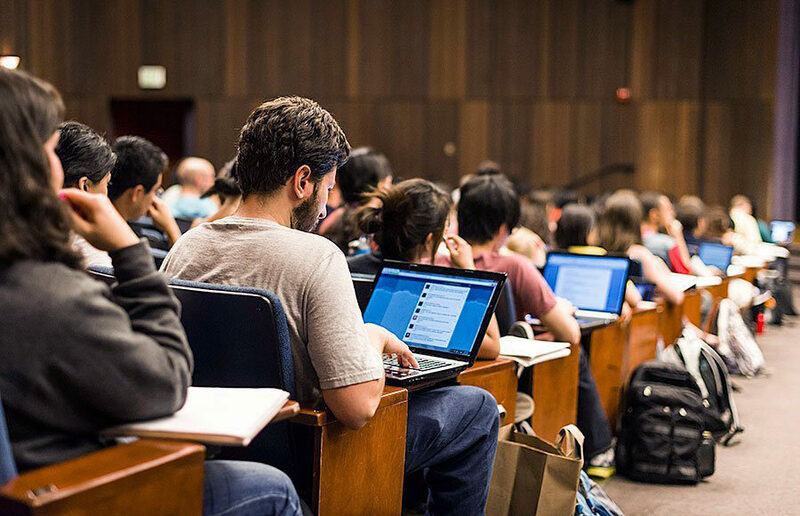 Whether you’re a middle-of-lecture or front-row student, we have some insight into the type of person you really are based on these seating preferences. So, you’re someone who prefers to sit in the front row? Some may suggest that you’re a teacher’s pet, but we like to think you’re among the smartest and most practical students at UC Berkeley. By sitting in the front, you get all the leg room in the world. On top of this, you can leave without having to wait for your peers to file out of the rows. Of course, some people might think you won’t be able to sneak in some social media in the front row, but if you think about it, professors tend to look at the back-row people anyway! Professors expect the back-row students to be browsing the web, so they would never suspect you. So to all you brave souls who sit in the front row of lectures, we at the Clog salute you! You people are the worst. To get a coveted aisle seat, you definitely need to arrive early, which isn’t really worth it. With this, you also force everyone to move and contort their bodies in the most uncomfortable ways just to get by you. Sometimes, you don’t even try moving a little to help them out — you just sit and wait with your body sprawled across your aisle seat. And although we know how good aisle seats are, maybe try taking an aisle seat in the front row to help save some people the trouble. If you’re a back-row student, you probably aren’t that interested in what’s happening during lecture — you probably have really good eyesight, too. Back-row kids are the ones who don’t pay attention or do any of the readings, but still manage to score within the standard deviation on midterms. Those who sit in the back row also enjoy people-watching, which might be the only reason they show up to lecture. You get to scan the whole room for any hot gossip or cute people. You’re so close to being brave, but you just can’t push yourself to sit in the front row. Middle-row people are very relaxed and, I guess you can say, average. Not all the attention is on you and you don’t bother anyone (that is until you have to get up to use the restroom). Middle-row people are the people you want to be friends with and those who will share notes with you. They’re the best. So, where do you sit in lecture?